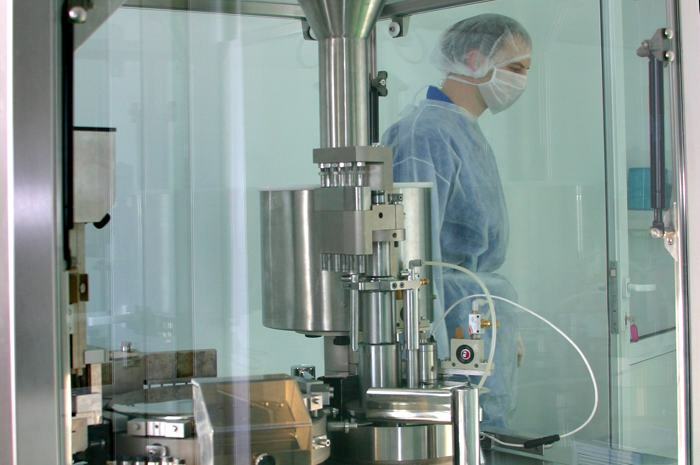 Effective cleaning and disinfection of equipment, and room surfaces, is extremely important in order to prevent contamination in laboratories, clean manufacturing areas or clean rooms. 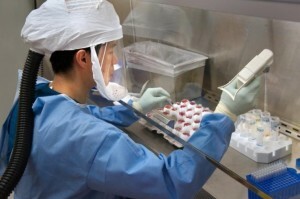 This is especially important in the biological, pharmaceutical, and medical device industries, especially during any research & development, processing, manufacturing, and/or packaging activities. Failure to properly clean and disinfect surfaces can lead to various problems such as the contamination of products with microorganisms that can: adversely effect research outcomes, reduce product quality, reduce shelf life, and/or threaten the health of the consumer and/or patient. Depending on the application, employee health can also be jeopardized. It is also important to control potential bio-burden hazards that may exist during the manufacturing process. Clinically proven “No Growth” on ALL treated room surfaces for: Bacterial Spores, Virus, & Vegetative Bacteria. Gas-Like Interaction / 3-D Contact With Complex Surface Geometries. Safe - only 0.88 % H2O2 and 0.18 % PAA (Yes, the hydrogen peroxide is that low). “Extremely thin film” deposition with sub-micron droplet performance. Multi Room Capable - Able to treat connected areas & rooms at same time. Complete Coverage Accuracy (no human interaction). Complete Coverage Reproducibility (no human interaction). Fully automated & remotely controlled process. Easily moved and setup by only one (1) individual. Wireless control and data reporting to PC. With a very low “D-Value” data for the gold standard medical grade spores of Geobacillus stearothermophilus of 2.3 – 2.6 D-Value (meaning a 90% kill within only 2.3 to 2.6 minutes of treatment), it won't take long to high level disinfect surfaces, including complex surface geometries, even in large process areas. Altapure's system is easily scalable for any application or treatment area both large or small. Altapure's high level disinfection products are able to rapidly achieve clinically proven “No Growth” results on ALL treated room surfaces tested for: Bacterial Spores, Virus, & Vegetative Bacteria. Altapure's submicron sized droplets provide a gas-like diffusion of the treatment agent throughout the room, where the Altacare ™ cold sterilant is deposited as an “extremely thin film” deposition on all surfaces. The result is a touch free / no touch high level disinfection system that is able to deliver “no growth cultures” on ALL treated surfaces, even in large rooms, for bacteria such as but not limited to: Geobacillus stearothermophilus (ATCC # 12980), Bacillus atrophaeus (ATCC # 9372), Clostridium difficile (D-diff), Vancomycin-resistant Enterococcus (VRE), Methicillin-resistant Staphylococcus aureus (MRSA), Acinetobacter baumanii, Pseudomonas aeruginosa, as well as viruses such as but not limited to, Polio virus, Influenza virus (Flu), Coronaviruses, Noroviruses, Escherichia coli, etc..
Altapure's equipment is designed to meet all stringent United States regulatory standards for use in the pharmaceutical and medical device manufacturing industries. Internal components are made of food grade compliant polymers and 316 stainless steel, and the deployed liquid is in contact only with food grade compliant polymers and 316 stainless steel. Only the highest quality materials are used, and none of the liquid contact components are coated or painted. Exterior materials of Altapure's products are constructed from food grade compliant polymers and 304/316 stainless steel. This is also done in order to satisfy all FDA material requirements for use in manufacturing and processing facilities regulated by the FDA. 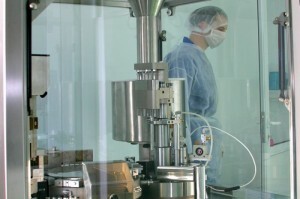 The Altapure system can be used to high level disinfect areas such as, but not limited to: process tubing, piping, process vessels, packaging lines, bottling lines, processing lines, processing equipment, bottling equipment, packaging equipment, storage areas, laboratory equipment, refrigerated storage areas, storage bins, HVAC ducts or conduit, packaging materials, airlocks, pass-throughs, pipes, basically anywhere where surface and/or airborne contamination risks, including any bioburden concerns, are present. By using Altapure's products and processes, businesses and researchers can increase the efficacy of their cleaning activities, reduce their legal risks, and lower their costs. Click here to learn more about Altapure and the AP-4 ™.